Kharta valley trek is famous for its pristine wilderness, beautiful lakes and superb views of Mt. Makalu (8475m), Mt. 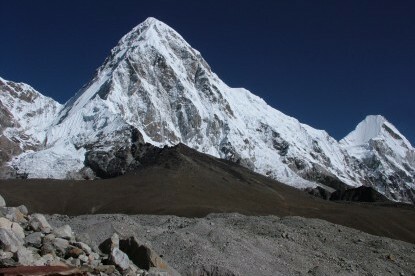 Karma Changri (6289m) along with the enormous Khangsung glacier. Highest point of Kharta valley trek is Langma La pass 5330m; the way to Everest’s east base camp (Khangshung face) gives you an ultimate high altitude experience. This trek is famous for its pristine wilderness, amazing, incredible views of Mt. Makalu 8480m, beautiful lakes and breathtaking view of Mt. Karma changri 6295m along with the massive of Khangsung glacier. Kharta valley trek are panoramic view of Shishapangma, Makalu, Everest, Cho oyu, Menlungtse, Gauri Shankar and the Kanchenjunga massif. 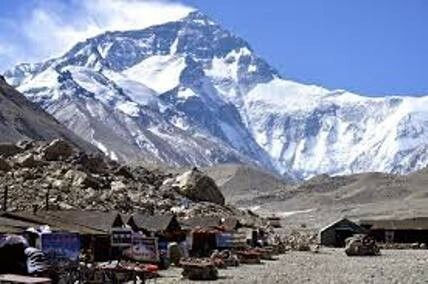 This trek leads you to the rarely visited eastern face of Mount Everest Khangsung face. We cross the Pang La, at 5150m, gaining great views of Everest and the surrounding area. The view from the top is incredible with uninterrupted views stretching from Makalu to Shishapangma. From here we head down to the village of Phadhruchi where the jeep track divides – the west road heading to the Rongbuk Valley and the east road takes us to the Arun Valley (Phung Chu) and the village of Kharta, the administrative headquarters of the region. Our trail crosses alpine ridges where yak herders’ from Kharta village make their summer camps. We pass through a series of these meadows and past two beautiful lakes before setting camp in a meadow (4420m) and ascending a ridge and seeing our first uninterrupted views of the Kangshung Face of Everest, flanked by Lhotse. This morning, after and early and hearty breakfast we make the climb north of camp past two glacial lakes and on up to a ridge overlooking the Kangshung Valley. 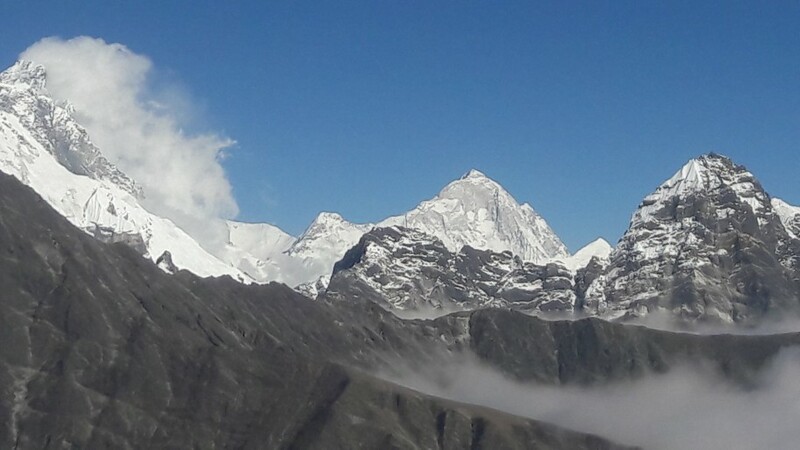 From our vantage point at 5580m we have a truly spectacular view described in 1921 by Lieutenant Colonel Charles Howard-Bury as “a huge amphitheatre of mighty peaks culminating in a new and unsurveyed peak to which we gave the name Lhotse, which in Tibetan means South Peak”. We see the massive triangular peak to the east of Lhotse Shar is Pethangtse (6710m) and we can see Makalu poking out form behind Jomolonzo. While crossing the Langma La should only take us about 2 hours, we will leave early this morning as a precaution. From our camp we climb past a stunning glacial lake, with more great views of the world’s highest mountains to the top of the pass at 5320m. 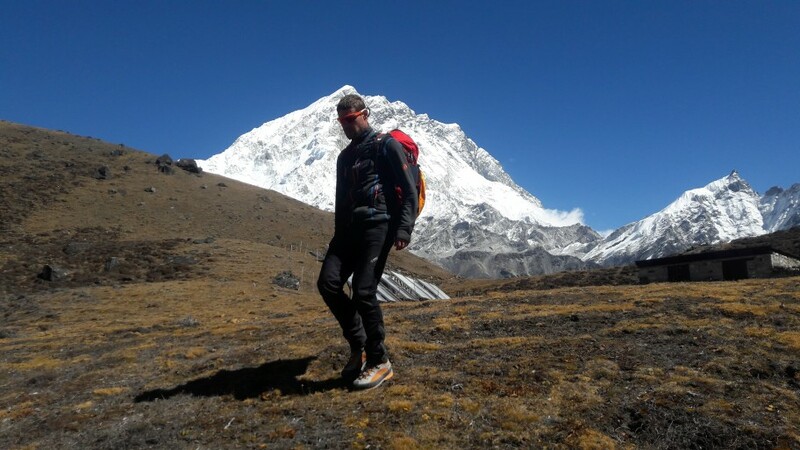 From here we have a truly spectacular view, seeing Everest, Lhotse, and Makalu – the highest, 4th highest, and 5th highest mountains in the world respectively! From here we have a steep descent to the valley floor, which opens up as we pass yak herders’ camps from Kharta and the nearby villages. Heading down to where we join the Kharta Valley we have views of the stunning Kangchenjunga massif rearing above the ridges beyond Kharta on the Nepal- Sikkim Border. This is a special sight, with Kanchenjunga being the 4th highest mountain in the world and one of the most beautiful. From Kharta we load into jeeps and drive to the village of Phadhruchi before continuing onto the Rongbuk Valley reaching the Dza Rongbuk Monastery and the Rongbuk Everest Base Camp. 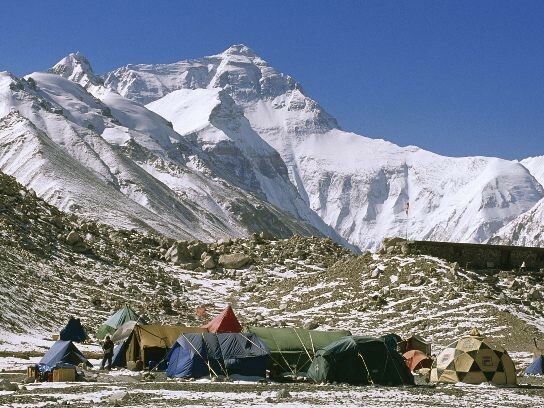 Dza Rongbuk Gompa and its accompanying hermitage retreats were introduced to the world in the 1920s through the accounts of the first British mountaineering teams. It is situated 8 kilometres below the Base Camp and was reconstructed after the excesses of the Cultural Revolution in the 1960’s. We continue up to Everest Base Camp at 5020m where we camp for the night.